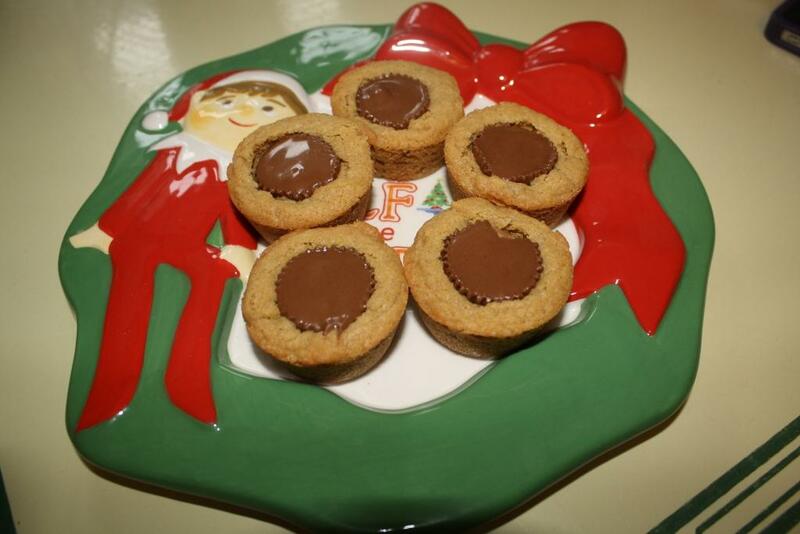 Note: We doubled this recipe to make close to 50 cookies for all our Christmas parties! Stir together flour, salt, and baking soda. Set aside. 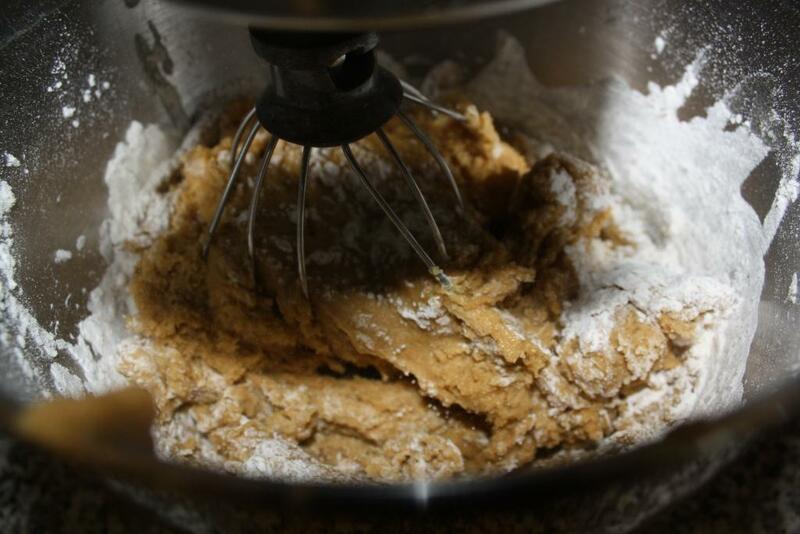 In a mixer cream together butter, sugar, peanut butter, and brown sugar until fluffy. 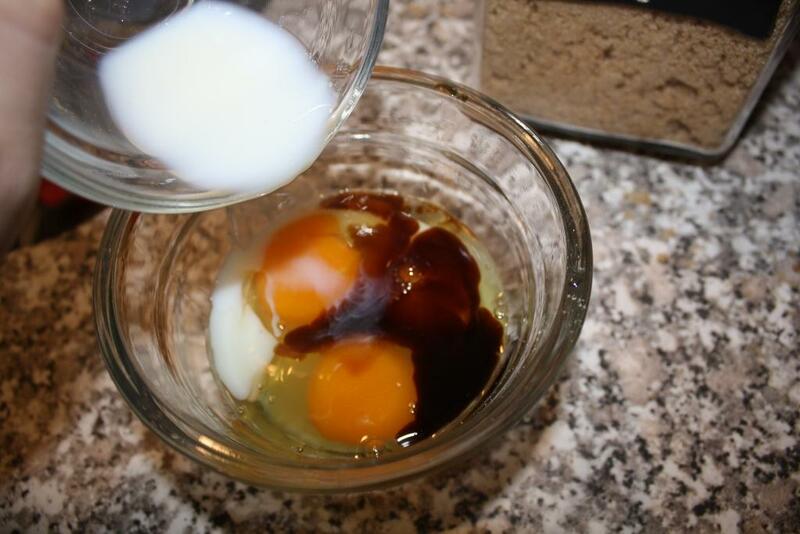 Beat egg, vanilla and milk together in a small bowl and add to peanut butter mixture. 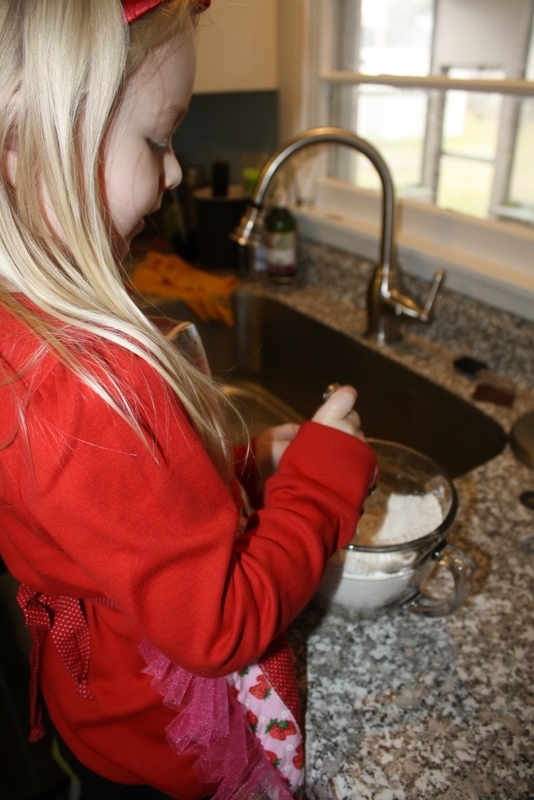 Pour flour mixture over everything and mix well. 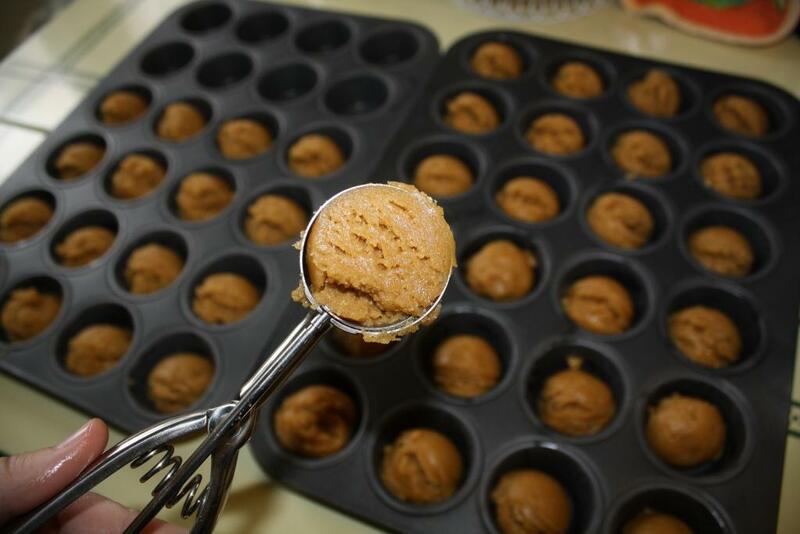 Place in an ungreased mini-cupcake pan. Bake for about 10 to 15 minutes. (Note: My mom’s oven actually takes 8 minutes, mine takes about 12 minutes. 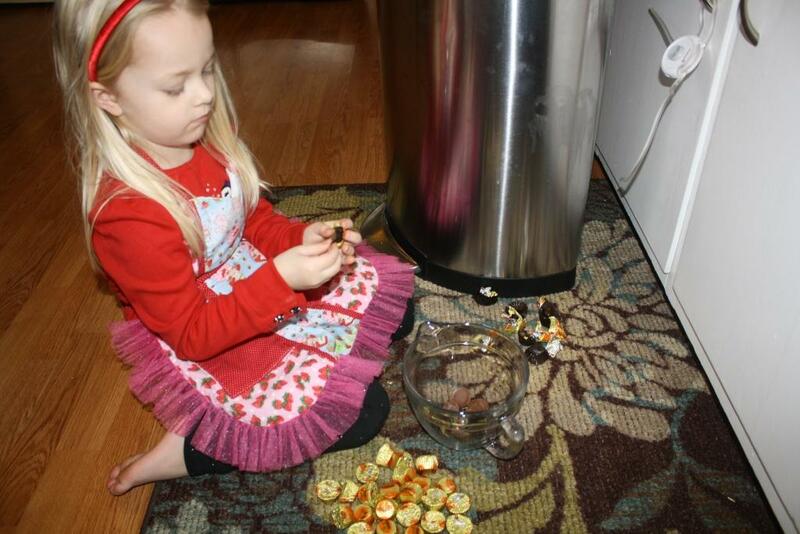 You do not want the cookies to start turning golden brown. Then they will be over-done. 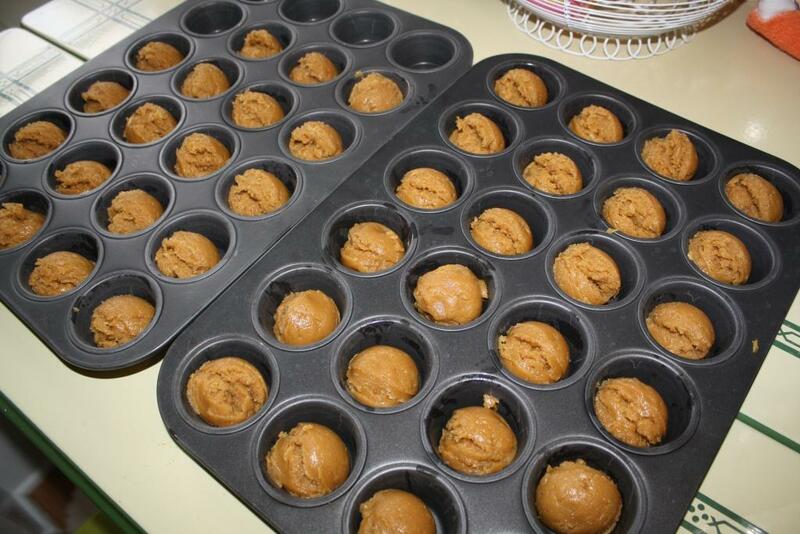 They will cool in the pan so they will still have a chance to “bake” a bit more). 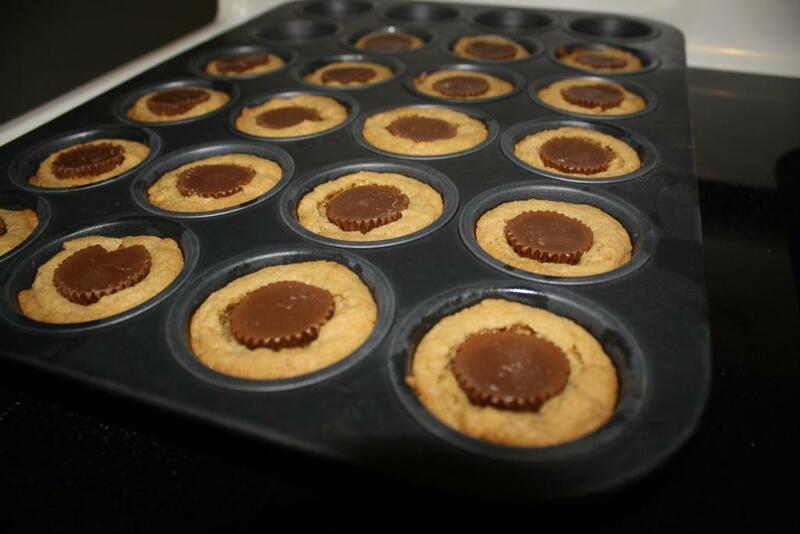 While cookies are baking, unwrap Reese’s Cups. 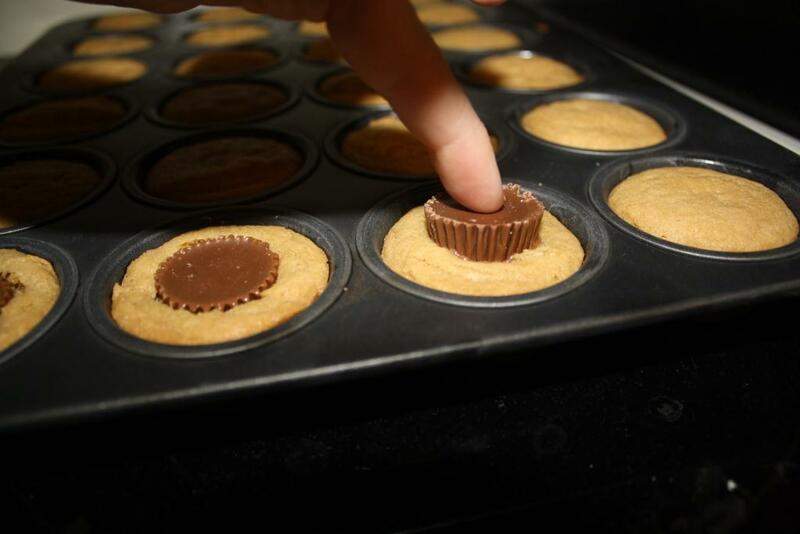 Immediately press Reese’s cups into the hot cookie and let cool in the pan. All ready for “Santa” to enjoy! We couldn’t forget about Limey & Lolly (read about them here). 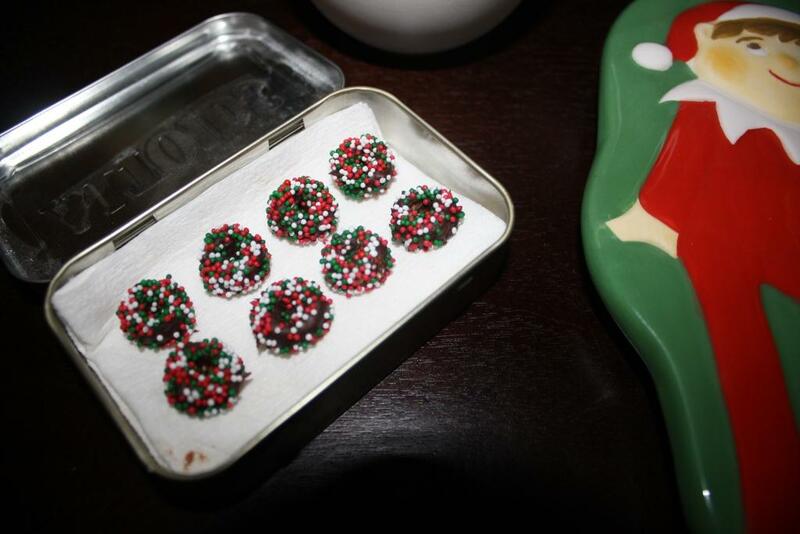 So we made them some little donuts to enjoy. 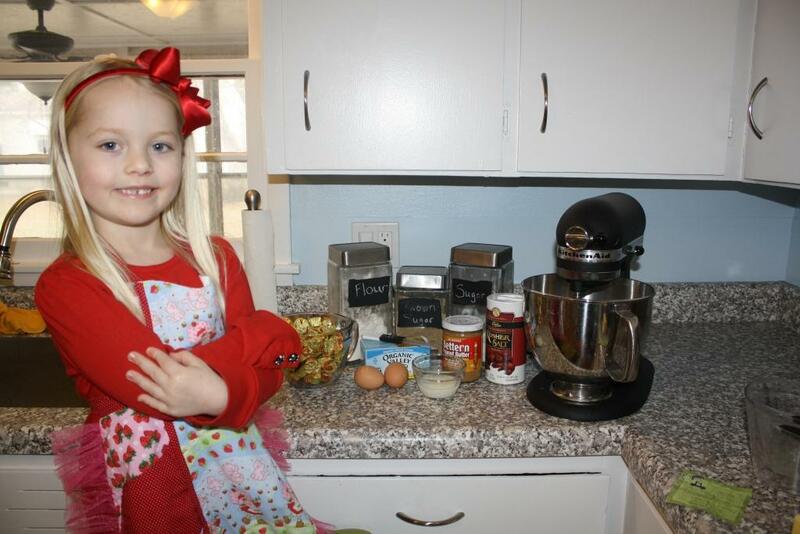 On Christmas Eve Kenley set out the treats for Limey, Lolly and Santa! 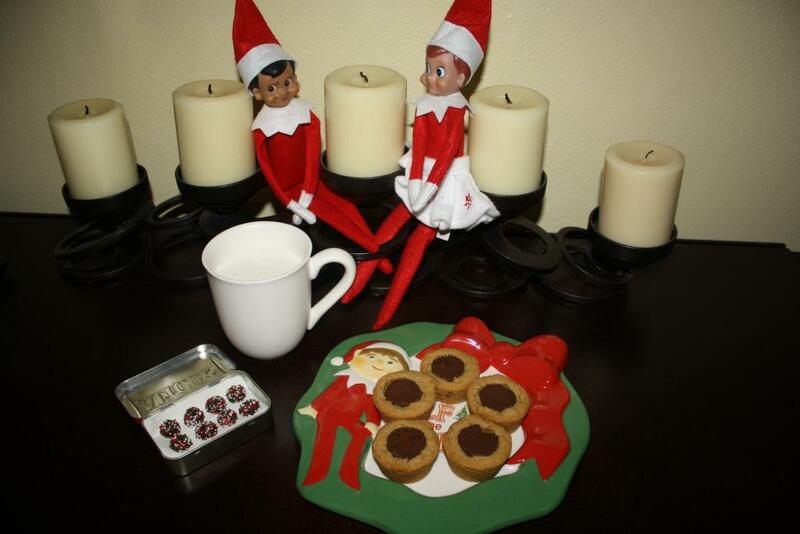 This entry was posted in About Food, Dessert and tagged baking, Christmas, cookies, dessert, donuts, Elf Donuts, Elf on the Shelf, peanut butter, peanut butter cup cookies, Reese's. Bookmark the permalink. Thank You! Thank You! Thank You! These are the best cookies in the world! 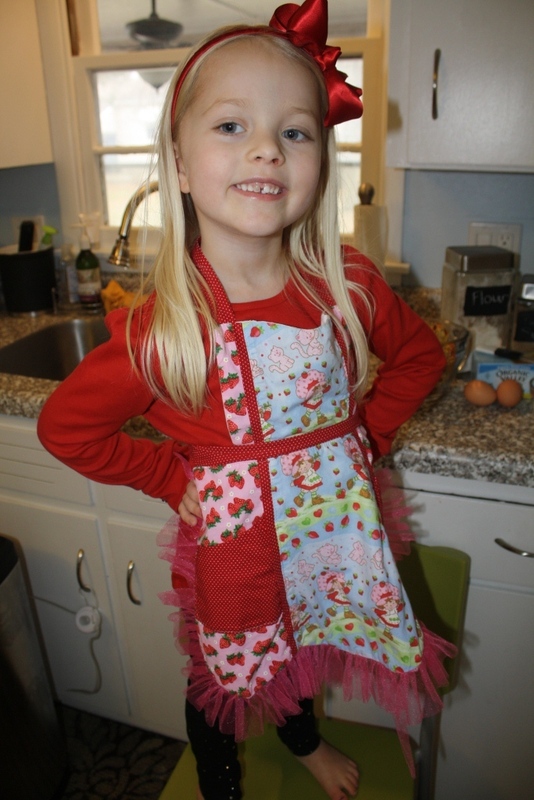 I finally have the recipe….muuhahhaha (evil laugh)! I first had these when your mom made them for something….can’t remember what, but they changed my life…they are soooooo good.